After days of players complaining of a rare item not dropping in Dota 2’s latest loot box, Valve put out a statement overnight confirming that they were right: Theories that the loot box was bugged weren’t sour grapes, but actually true. 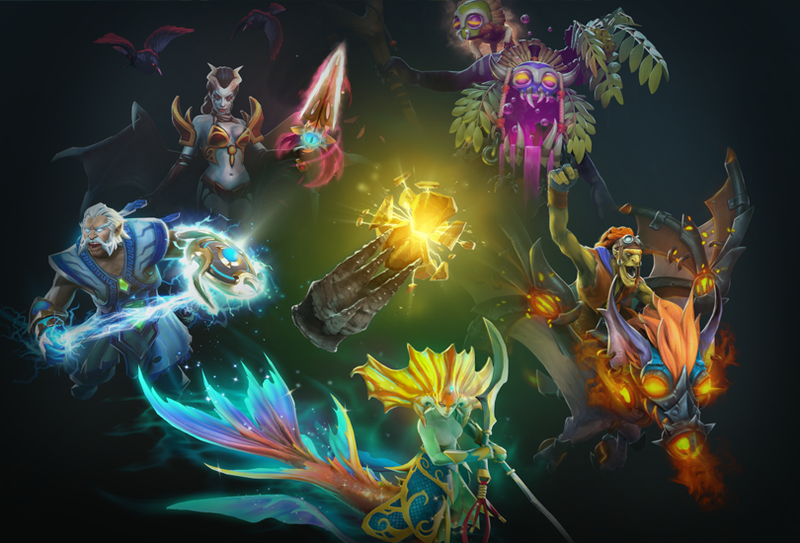 On July 31, Valve released “Immortal Treasure III,” the newest Dota 2 loot box containing rare cosmetics for a handful of the game’s heroes, linked to the game’s big annual tournament taking place in mid-August. Lots of people bought it. Including me. Some even bought it several times over, opening dozens of them in search of one of its rarest items” a special mask for the game’s Witch Doctor character. They didn’t get it, though. And not just a few people but, as scores of angry comments on the game’s subreddit showed, quite a few. On August 2, Valve posted about the matter on Steam, acknowledging that after days of thinking anecdotal accounts by players weren’t representative of the overall population, it had discovered that the loot box was indeed bugged. The Immortal treasures are supposed to have escalating odds meaning that the more you open, the better your odds of finally getting the rarest stuff possible, but for lots of players this feature wasn’t triggering correctly. “We looked into it to see if there were any differences between the drop rates of those items, and found that all three were identical, so we just assumed it was anecdotal cases and selection bias,” wrote Valve. As more and more complaints kept coming in, however, the company decided to investigate the matter further despite its initial skepticism. To address the problem, Valve said it will be giving players rerolls for the boxes they’ve already opened, fixing the bugs for unopened ones, and adding 10 levels to every player’s battle pass. Long before games like Fortnite and Rocket League started using battle passes, Valve was using them to fund the multi-million dollar prize pool for the International, its annual Dota 2 tournament. Players can earn levels for their battle pass by playing, or paying for them outright. A certain percentage of all the proceeds from it go to the prize pool, which for 2018 is just north of $23 million.– As players gain levels, they unlock new rewards like Immortal Treasure 3. Some players had paid hundreds of dollars in order to get them, since they drop every 30 levels after 240. A similar problem plagued last year’s Immortal Treasure III, which players noticed was being suspiciously stingy with its rare drop for a different character. Valve quietly patched that loot box eventually as well, but without ever acknowledging it more publically beyond a small mention in a set of patch notes. Valve was surprisingly more forthcoming about the issue this time around, possibly because it’s the second year in a row that it’s happened. With any luck those players who invested lots of money or time grinding for this year’s rare drops will see them pop up in their inventory after Valve’s manual re-rolls.